No First Aid in Education! First Aid in Early Years.First Aid as part of the curriculum. 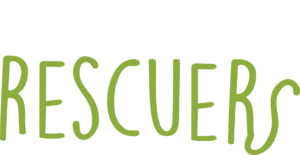 Little Rescuers empowers Pre and Primary School children to be able to keep themselves and others safe, through experiential learning, and equips them with first aid skills, for sometimes life challenging situations! First Aid and Life-Saving skills are not on the curriculum in UK schools, in the same way they are in much of Europe and parts of the USA and Australia. This has a direct impact on National survival rates! Scandinavia has First Aid on their primary and secondary school curriculum. It is therefore no surprise that Norway have one of the biggest survival rates of pre-hospital cardiac arrests, with many of these cases a result of a bystander initiating CPR. These Countries have Nations of people willing, able and confident enough to help. We work closely with Early Years and Educational Practitioners, along with fellow Healthcare Professionals to ensure quality and consistency throughout, but most importantly, to provide a learning experience for children that is developed through fun, play, music and team-work! Elements of the Early Years guidelines are carefully considered, alongside children’s developmental milestones to ensure children benefit from the sessions in a tangible and real-life manner.